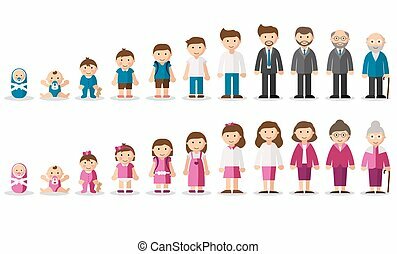 Evolution of the residence of man and woman from birth to old age. 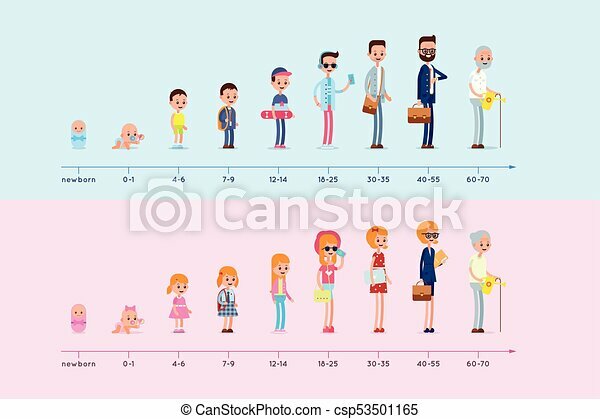 stages of growing up. 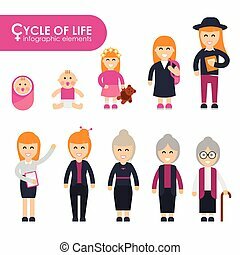 life cycle graph. 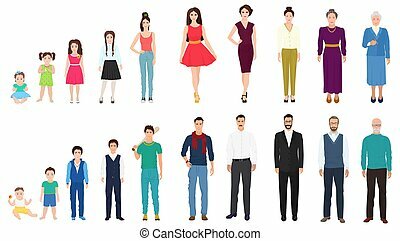 generation infographic. 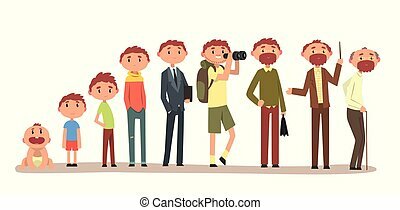 Growing up of a man from infant to grandfather, cycle of life vector Illustration isolated on a white background. 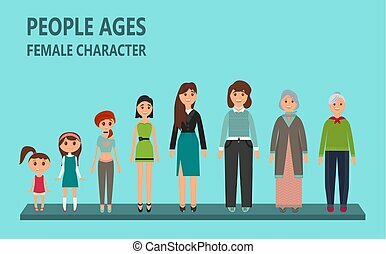 Process of aging in vector depicting men and women in particular period of life, from the childhood to the old age. 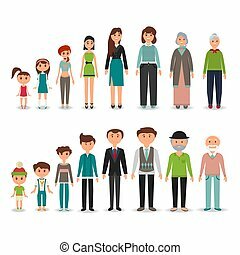 Children, teenager, adult, old man and woman.